Longevity and Brain Enhancement are the two primary ambitions of transhumanists, according to a survey conducted 2.5 years ago. This indicates that the “average transhumanist” is strongly motivated to keep his-or-her physical body and mental cognition in tip-top condition. These desires would be, it seems, even more emphasized in tranhumanists who were 55+ years old. I am 62 – an age considered “old” by many – but I recently “resurrected my strength” using a combination of old-fashioned hard work + new-fangled technology. In only 2 months I became stronger than I’ve ever been in my life, and I wasn’t weak when I was young: I was a varsity wrestler in high school, at 168 pounds. How is the Old Hank “stronger”? A detailed description is here. I want to share with all transhumanists how they can attain, if they wish, the youthful power that I reclaimed. 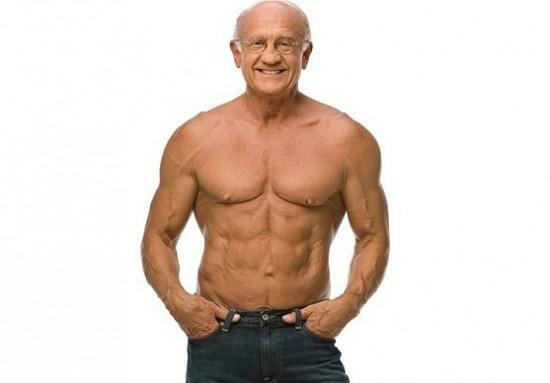 I also suspect that you want “Cognitive” advice, so I’ll be concluding this “H+ Fitness Manual” with Brain Health tips. Frequency: every other day, or 3 days a week, for 35-60 minutes each time. You only need to do 15-18 sets but you need to push yourself, hard, to exhaustion. “Work till Failure” should be your goal on at least half your sets. Rest 2-3 minutes between each set – drink water while you wait. Each set should (generally) be 5-10 repetitions. It’s best to schedule your weight-lifting early in the day, before other responsibilities derail you. 80-90% of the time I do my workout immediately after breakfast. Weight-lifting is often regarded as very boring; but the way we’re going to do it – it’s fun. You need to plan your workouts so that you achieve 1-3 “victories” every time. By “victories” I mean you will set “personal bests” in specific exercises. Weight-lifting is the perfect exercise to accomplish “personal bests” in because there are dozens of muscles to work out, with dozens of exercises. You will find weight-lifting enjoyable if you achieve “victories” every time you step in the gym. The “victories” will fill you with pride and optimism; they’ll give you confidence as you approach the rest of the day, and they’ll enable you to look forward to every workout. Its important that you don’t get injured doing weight-lifting. That’s why I recommend dumbbells and weight machines, over barbells, especially on bench press. I also put an asterisk by the last two because I have pulled muscles doing those exercises. I didn’t list any leg weight-lifting exercises because I want you to develop leg strength on the days-off from weightlifting. Below I describe a workout I had last week (10/2/2014) so you’ll understand what I mean by “victories” – it’ll show you how to strategize every workout. #1. My primary goal today is to elevate my Pullover ability. Pullovers add muscular thickness to the upper torso. My personal best is 85 lbs. 10 times, followed by two more sets of 8X and 8X. I decide that I will try 90 lbs. a weight I’ve never attempted. I try it, and succeed 10X ! Victory! After that I do too more sets at the same weight; I do the first set 8X and the second set 5X. Whew! I’m very tired already, but still – A New Personal Best in my favorite exercise. #2. Can I also improve by Pulldown Personal Best..? Which is 190 10X, followed by 6X and 6X? It’s not an exercise I enjoy, because it hurts my hands and my thighs (braced against the pad). I’m also tired already… Nonetheless, I decide to strive for a new record – 200 lbs. Can I do it 10X? Uhhhgghhh! Yikes! I can’t do it even once! I have definitely failed to improve myself in this today. #3. My latissimus dorsi are – obviously – totally wiped out by the pullovers, so I decide to exercise another muscle. Biceps. I’ve been doing Dumbbell Bicep Curls at 40 lbs. for a long time, decades really. I think I “plateau” at 40 lbs. But today… I’ll try 45 lbs. I start – it definitely feels heavier… but I do it! 10X each arm! A new personal best! I follow it up with 8X and 8X. Major Victory #2. Excellent. #4. I don’t expect any more victories today, because I’m really exhausted… but I’d like to at least be close to personal bests in other exercises. Next I do… Incline Dumbbell Press. My Personal Best is 50 lbs. 10X, 10X, 10X. Today I do 10X, 8X, 7X. I strain really hard to do this, but I’m pleased with the result… it’s very acceptable considering how fatigued I am. #5. 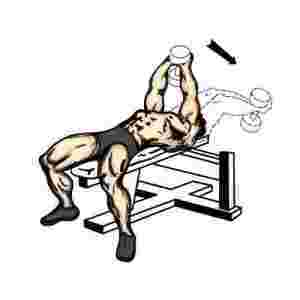 Tricep Curl (weight machine). I’m stuck on this exercise – I can do 130 lbs. 10X rather easily, but I can barely do any reps at 140 lbs. I decide, for fun, to see how many times I can do 130 lbs. Essentially, I’m creating a new “victory” category. Ready, go… it hurts but I accomplish 15 tricep curls. Good. #6. Dips. I know my muscles are completely fried but I still want to do some dips. My personal best at dips is 30, but today I can only do two sets of 15 and 12. Ouch! My triceps are shredded. #7. My biggest victory of the day was upping my Pullover total, and I’m psyched about my next workout – where I’ll try to further improve this, up to 95 lbs. I finish my workout today with more Pullovers, at a lower weight. 80 lbs. Straining hard, I do two sets, 7X and 6X. Owwww…. that hurt. I did 16 sets, in 45 minutes. With two major victories – both “epic” in my world. A Pullover Personal Best and a Bicep Curl Personal Best. Remember – your weight-lifting workout will be fun, if you’re accomplishing personal victories. On your off-days when you don’t lift weights, you need to exercise your cardiovascular system. I recommend swimming or running, but there are many other options – bicycling, rowing, a Stairmaster, or playing soccer, basketball, ultimate frisbee, etc. What’s important is that you exert yourself hard for 25-40 minutes. I either swim or run – if I swim it is for a mile, this takes me about 35 minutes; if I run it is for about 4 miles, which requires the equivalent time. I very much prefer swimming because it’s “less dangerous” – I’ve never been the slightest bit hurt swimming, but running… I’ve pulled muscles, and I’ve tripped and fallen, hard, several times. Swimming was also a favorite sport of Jack Lalanne – a personal hero of mine because he retained his strength deep into his senior years. I don’t want you to obsess about setting a personal best run or swim time every time… Theoretically, this is your “off day.” Weight-training is hard enough, and I really want you to push yourself when you do that. It is fine if you just try to set a personal best in your cardio workout 25% or 33% of the time. Your muscles are also going to be tired and sore from the weight-training. That’s another reason why I prefer swimming – weight-lifting contracts the muscles, whereas swimming seems to loosen them up, with the stretching in the strokes. You will happily discover that the combination of weight-training and cardio will make you better in both. For example, i’m sure the increased strength of my upper body due to weight-training is why my swim time has improved. Additionally, building up your cardio endurance will help you get through the exhausting weight-training regimen. You will find your muscles getting quite sore, and your body quite stiff, due to the exercising – especially the weightlifting. Keep yourself limber by stretching regularly or practicing yoga. You can incorporate abdominal exercises at the same time. As you get stronger in amazingly quick time via my advice, be sure to thank creatine for its help. This 11-year-old study reports that weightlifters who used creatine enjoyed a 14% greater average increase than those who did not. Creatine also has significant cognitive benefits! Obviously, you need to buy some Creatine. Today. I get it online here but I am sure many other brands are just as effective. I mentioned above that I ingest creatine with a “soylent-like” product immediately after my workout. The “soylent-like” item is from PowderedFoods.com It’s a nutritionally-balanced powder – I mix it with a teaspoon of creatine and shake the concoction up with water. I like “powdered food” for a wide variety of reasons. It is very time-efficient; if you need extra minutes during the day so you can squeeze in a workout, Powdered Food can give you 650-1,000 calories in about 2 minutes. Just add water + creatine, shake, slurp and swallow. It also makes me feel great – it contains a lot of fiber, which aids digestion, and many users (myself included) find they need less sleep when their diet has a nutritional drink product. Creatine also works best when its mixed with a simple carbohydrate, and PowderedFoods are generally 33% carb. Do I take any supplements besides Creatine? Yes, I do. I take Probiotics every day, to “promote healthy digestion and support immunity.” The product I swallow is here but I am sure that there are numerous other probiotics that are just as effective. Getting sick will prevent you from doing your workout – or at the very least, from doing it so effectively that you’ll achieve any “victories.” You don’t want to be ill – ever – so buy some probiotics today. Melatonin – I occasionally take this supplement to improve my sleeping. I am not a raving fan of it because I haven’t observed any consistent benefits. Nootropics: Research these if you’re eager to further elevate your brain power: Modafinil, Piracetam, and two NaturalStacks products: CILTEP, and SmartCaffeine. If you want to really exercise your noggin, try a regular brain-training regimen – I recommend PositScience[TM]. Its “brain-games” are fun; I encourage you to approach them with the same determined competitive spirit that you use to tackle physical exercises. Many people find the games almost addictive! Go to BrainHQ and sign up — it’s very affordable – especially if you take advantage of AARP’s 35% senior discount. PositScience / BrainHQ offers games in Attention, Brain Speed, Memory, People Skills, Intelligence, and Navigation. Try doing the games for 45-60 minutes a week – they require concentration, but the motivation is provided by PositScience’s data… Do you want to be “below average” in Social Skills? Of course not! Do you want to have faster brain speed than 99% of the other competitors? Of course you do! Traditional Advice: 1) Increase your Exercise Level (you’re doing that already if you’ve followed my advice this far). 2) Reduce Sugar Intake: Only eat 1-2 pieces of fruit per day. Stop eating or drastically reduce your intake of desserts. Eliminate fruit drinks, sodas, etc. Reduce your intake of all high-carb foodstuffs like break, all wheat products, pasta, pizza, potatoes. Non-Traditional Advice: You can regulate your caloric intake, and maintain a nutritionally-balanced diet, if you live on “soylent-like” products like those offered by PowderedFoods.com. Are you eating 4,000 calories a day when you should only be eating 2,000? You can halt that if you count your calories, and an easy way to do that is to let Soylent and the DIY-Soylent producers do the counting for you. You are going to need will-power to do either of these methods. But… willpower is needed to do anything I’ve outlined in my “60 is the new 30” method. I personally think if you can exert enough willpower to exercise hard, everyday, pushing yourself to the extreme edge – you are going to find that you have plenty of willpower available to adopt the diet you need. If you are motivated to improve your strength and stamina every day, or at least every other day, you won’t want over-eating or eating bad food, to get in the way or your intended physical accomplishments. If I drink too much alcohol, I feel crappy the next day and I won’t get any “victories” in the weight room or in the swimming pool or on my running route. I drink in moderation now, and so should you, if physical fitness is the priority that it should be. Same goes for smoking cigarettes or any recreational drugs. Personally, I know this sounds corny – but I get “high” on feeling healthy, on feeling strong. The “victories” Iachieve when I establish Personal Best strength records for myself, at the age of 62, are far more satisfying than a brief buzz that leaves me feeling enervated the next day. Every other habit you have in your lifestyle can be analyzed in this way. Are you stronger the next day if you stay up late and watch a movie on TV that you’ve already seen three times, and then you don’t get enough sleep? No, you’re not. Are you faster the following day if you spend 7 hours driving and shopping for stuff you don’t really need? No. How about an all-day barbecue in the hot sun, over-eating ribs and potato chips? Nope. Think about what you can do today that will aid – or at least not cripple – your workout tomorrow. Do something that is mentally or emotionally inspiring, that cheers you up and fills you with optimism. A life style like that will aid your workout and make you stronger. I hope everyone who is out-of-shape – especially people 50+ who “gave up” on physical fitness – I hope everyone who examines these directions gets motivated, charged up with optimistic determination to achieve their own peak personal physical fitness. If you want a coach to help you with this process, I am available at an affordable price. Sliding scale $30-$20 per 1/2 hour session, via questions via email or telephone. 16 hours per day of work 7 days a week… that is actually a very convincing excuse. its also a convincing excuse that something needs to change… I get sick easy and I never get enough sleep and its not going anywhere good… that being said it finally looks like the various business ventures will pay off which will fund a lot of the projects we’ve been planning besides helping me get out of the 16 hours a day 7 days a week thing that really is not a good thing. David – you have been doing wonderful work. Maybe you can exercise and work at the same time on a treadmill, or listen to important info while you swim. Additionally, the time spent weight-training is only 20% lifting – 80% of the time you are drinking water or resting. Maybe you can catch up on email between sets. ALSO – try the probiotics; they will provide assistance in fighting off disease. If you have 1-on-1 meetings, see if you can meet at the gym. Thanks Hank, I still take the cocktail we talked about, albeit some minor improvements including a probiotic, however a lot of my meetings are over seas. for example I have teams in Dubai, India, Israel and Zurich so a lot of it is virtual meetings that require extremely high bandwidth that would make the local gyms wifi blow up. Then ere is the super high stress level by a CEO that is… well lets just say he can burn people out… he has had 7 EA’s in the last 18 months. As CTO I can only control the engineering and execution teams but based on the atmosphere of stress he creates its just a lot. That being said… >:) We (being the Foundation) have been working to put together a set of new firms that are tied into these ‘projects’ and it looks like that will all take off over the course of the next few months (keep in mind this is years of work coming together in terms of funding). we will see but if it all works out then my ‘stress’ level will be fixed and I’ll be at the Gym. I think it was great time which i spent on your website. I loved the valuable information you shared.